Grease Duct Cleaning in West Covina CA | Flue Steam Inc. 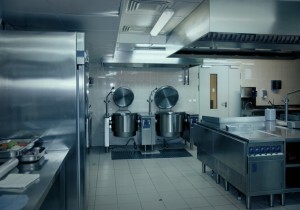 Protect your commercial kitchen with grease duct cleaning in West Covina CA. 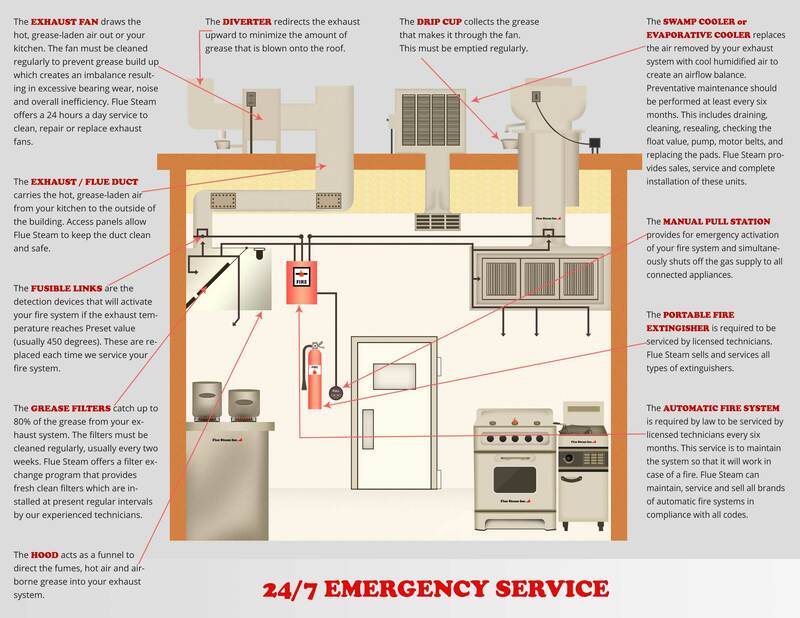 As the operator of a commercial kitchen, you may feel like you already know everything there is to know about the benefits of grease duct cleaning in West Covina CA to reduce the risk of a catastrophic fire in your ductwork. But do you know what factors to consider when choosing a company to provide this service? Here are some important reasons to choose Flue Steam for your next grease duct cleaning in West Covina CA. Our technicians are certified. We are an IKECA member company, which means our employees have completed various training courses with International Kitchen Exhaust Cleaning Association. The certifications gained from these courses must be renewed regularly which ensures our employees stay up to date on the latest industry best practices for grease duct cleaning in West Covina CA. We help you save money without sacrificing safety. Often, business owners struggle to figure out just how often they should be getting grease duct cleaning in West Covina CA. Should it be every month as recommended, or some other interval? At Flue Steam, we use an IKECA comb to help measure the depth of grease in your ducts and determine how fast it builds up and how often you need cleaning services. With our help, you don’t have to worry about wasting money on cleanings before build up has reached a worrisome level or waiting too long between cleanings and putting your property at risk. We make it easy to schedule cleanings. Naturally a grease duct cleaning in West Covina CA will affect your ability to cook, which is why we provide our services at hours that are convenient for you. Our technicians will leave you with a special sticker after a cleaning to help prove to code inspectors that the work was done properly and also help you remember when your next cleaning is due.